What do you make of this!!! Description : What do you make of this!!! 0 Response to "SHOCKING! 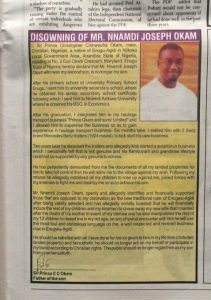 Man disowns son on National daily"